Practical and of course very stylish, this Sativa hemp wallet is manufactured from environmentally friendly organic hemp and cotton, this attractive wallet is strong, sturdy and highly durable, soft and strong. 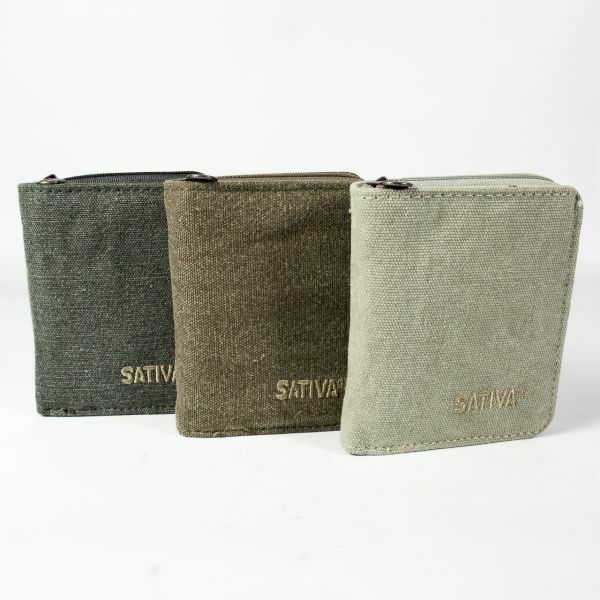 Sativa is a UK brand specialising in manufacturing environmentally friendly hemp bags, and has been now for over 20 years. Always abiding by their core value of using sustainable resources, this combined with delivering function and style makes this, and other items in their range, a quality and unique product. 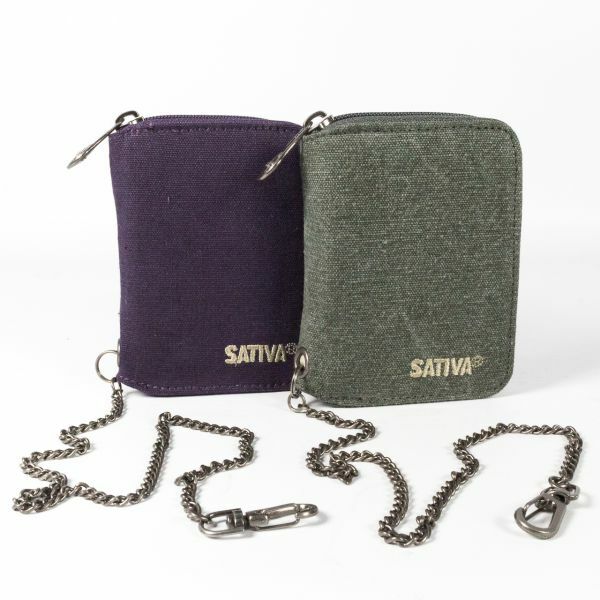 This practical and stylish design from Sativa is made of the finest organically-grown hemp/cotton, which is known to be sturdy and highly durable. Neat and pocket sized at 11cm wide and 10 cm high, when needed the front section of the wallet opens out to hold all your credit cards and opposite to these a two section compartment is secured by a neat zip for coins and other items. Users love the well-made product as well as the card and note holder, which are snug fitting which does ensure that the cards and not do not inconveniently fall out! We are currently offering this quality product in three colours, Grey, Ice or Khaki, all at just £17.99.